Pete Dyer is a rock star. He’s sacrificed everything to make music his life. When he’s not on stage in front of 10,000 screaming fans, he’s alone on a bus between places he’s been a hundred times before but never really seen. But Pete never figured he’d be here alone. This was his and Jack’s dream since they were boys growing up in a small town in the North Carolina mountains. Lately, he thinks about Jack a lot and how things fell apart almost twenty years ago, how his friend was faced with an impossible choice on the eve of their first real break and how they haven’t spoken since. Jack is a stay-at-home dad struggling to hold onto his marriage and beat the same depression that killed his father. These days his talent is confined to teaching “Satisfaction” to businessmen in the back of a music store, but his love for music has never faded. When a young rock journalist digging into Pete’s past discovers his and Jack’s first band, she is taken in by the music, by their story and by the beautiful singer, Julie Bianca, who was at the center of both. She conspires to orchestrate a reunion that will bring the friends together after nearly twenty years of silence. 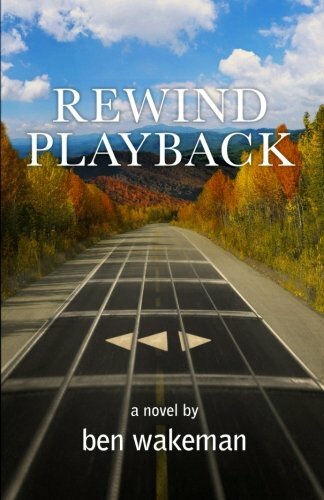 Rewind, Playback is a seat on the bus with a band of friends. On a ride that spans two decades it explores the power of friendship and the endurance of love, the cost of commercial success and what happens when we have a chance to look down the road we did not take. If you loved the book, let people know about it! As an independent release, the only way the rest of the world will get to enjoy it is if you tell them about it. Share specifically what you enjoyed most about the book with others by posting a review of the book at Amazon.com or at Good Reads. If you do Facebook, Twitter, Instagram, Google + or all of the above, recommend the book to your friends and followers. Be sure to include a link to this page and the hashtag #rewindplayback.